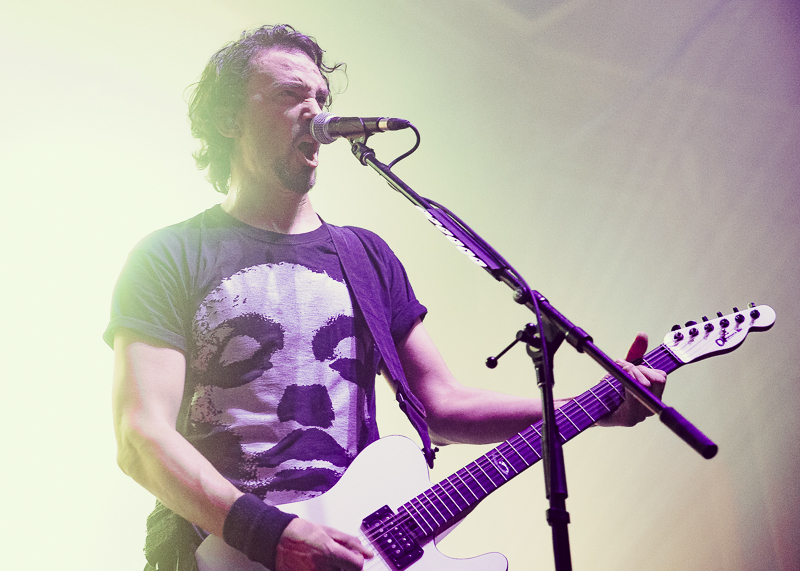 Fresh off a slot opening for Metallica at The Rose Bowl, Gojira brought their pummeling blend of metal to the UC Theatre on a recent Sunday night. The group has gained a great deal of notoriety in recent years for their outstanding live performances and they certainly lived up to the billing on this evening. Armed with a staggering amount of lighting, the band burned through a rendition of “Only Pain” to open the show. Every single strobe light flash corresponded with a drum hit from Mario Duplantier and this effect was used throughout the evening. The rest of the band members were covered in shadows and smoke for most of the night, allowing their bone crushing music to do the talking, along with the lighting. 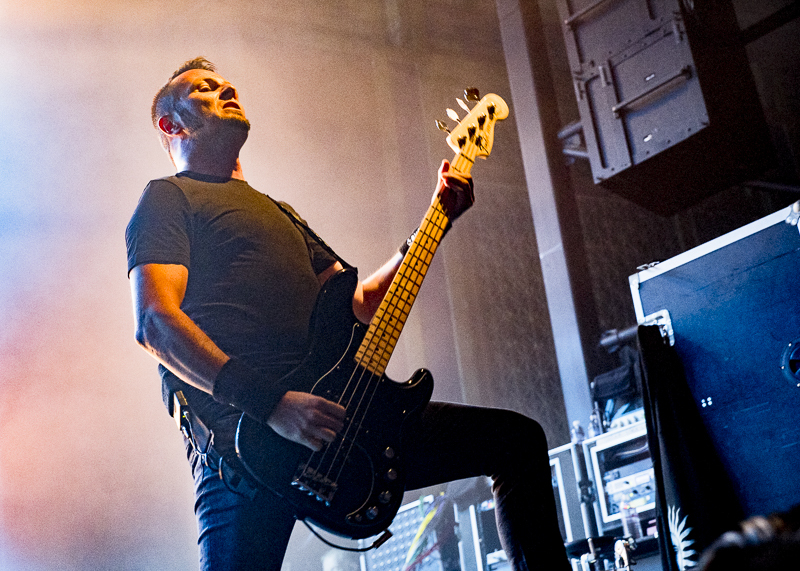 Joe Duplantier’s full-throated roar powered the surging “Silvera,” which made use of some highly melodic guitar lines to invoke a more Middle-Eastern sounding vibe before turning it back around into fierce metal. The jackhammer guitar riffs of Duplantier and Christian Andreu dominated the sound throughout the night, creating an overpowering wall of sound. This was particularly apparent during the mid-set rager, “Backbone.” The song rides a searing blend of guitar parts and then turns up the intensity towards the end to finish with a backbreaking breakdown. Duplantier, Andreu and bassist Jean-Mihcel Labadie formed a lockstep groove, playing a rhythmically complex riff that hit the listener straight in the face. A few songs later was another mid-set epic, the title track from 2012’s acclaimed L’Enfant Sauvage album. The song is a titanic piece of prog metal that twists through a multitude of different parts while Duplantier wailed overhead. From the start of the set until the end, the venue bristled with energy, and Gojira made sure to bring the intensity in delivering such a memorable set. The surprise of the night came in the encore when the band ripped through a strong over of the Sepultura classic “Territory,” which really got the crowd moving one last time before the show ended. While the group may be 20 years into their career, they are only getting stronger as a unit. 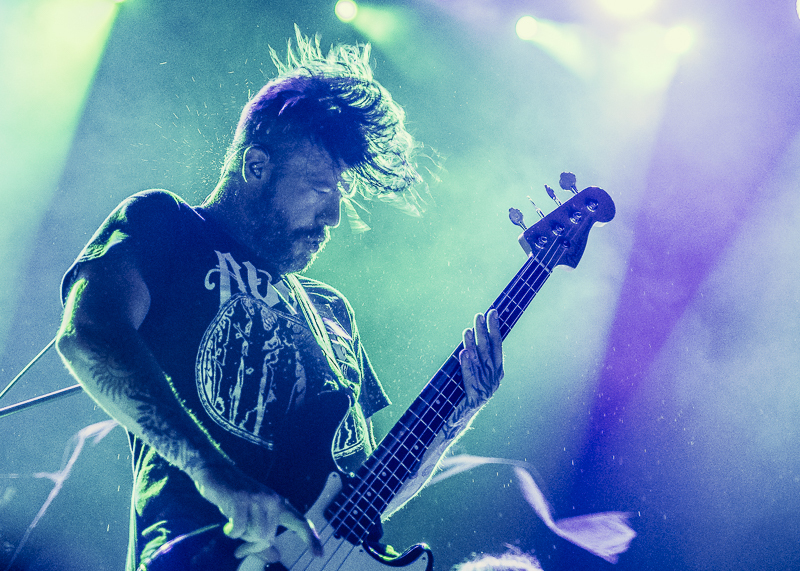 They have now become one of the must-see metal bands in the scene today. 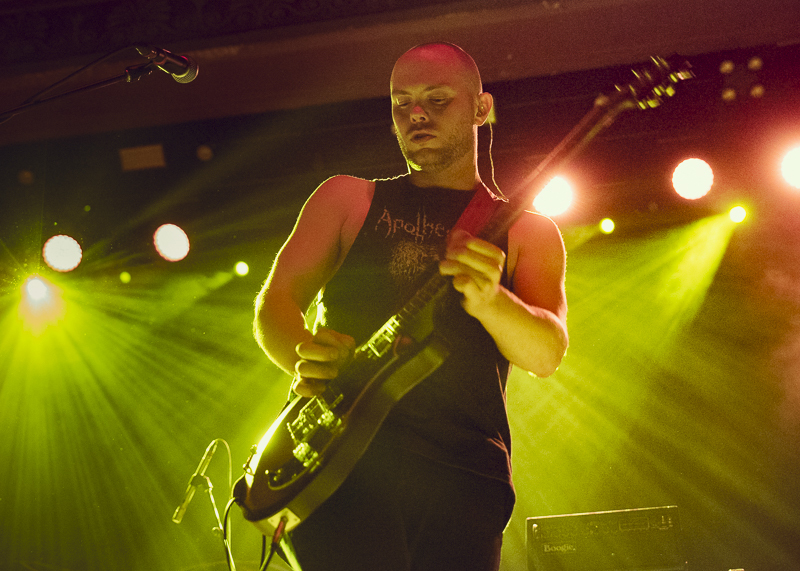 Pallbearer opened the night up with a sludgy set of epic doom metal, beginning with the massive “Thorns,” a single from their newest record, Heartless. The song alternates between crushing riffage and soulful vocals from singer Brett Campbell before breaking into a classically influenced guitar duet between Campbell and Devon Holt. The band slowed things down after this for “Dancing in Madness,” a spacey ballad that made use of Campbell’s elastic keyboard playing and found the band at their most downbeat (if not jazzy) moment of the night. Bassist Joseph D. Rowland really shined on this track, as his sludgy and distorted bass weaved in and out of the song, filling the empty spaces with some masterful runs and fills. Eventually the song picked up steam as more and more heavy guitar riffs were piled on top of each other, which lead to a particularly crushing breakdown section that featured some gruff backing vocals from Rowland and Holt. Pallbearer have perfected the art of writing epic length metal songs, and this notion became ever more apparent after the group started into the monolithic Worlds Apart, another slow and brooding piece of doom metal. Drummer Mark Lierly held the whole thing together with his elegant and grooving playing, which kept the song firmly planted in rampaging metal. What made this song so particularly enjoyable was the dynamic range covered throughout its ten+ minute runtime: chugging metal veered into simple yet memorable harmonies, never losing the interest of the audience. 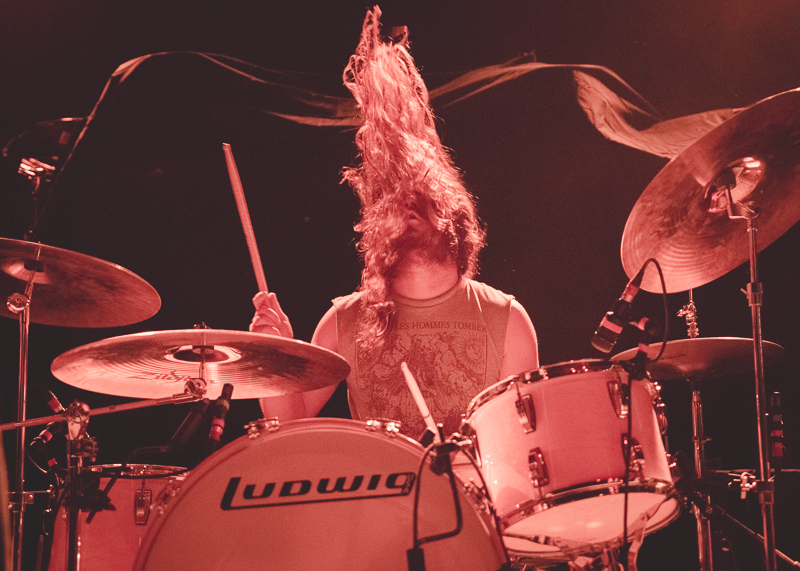 Pallbearer are quickly becoming one of the best live bands out there today. For more information about Gojira, go here. Find out more about Pallbearer on their website.